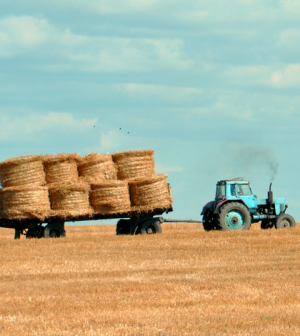 The European Commission has agreed to spend €27bn on 24 further Rural Development Programmes (RDPs), which are aimed at improving the competitiveness of the EU farming sector and strengthening the economic and social fabric of rural communities. The commission announced the funding pledge yesterday and said the funding programmes, which are going to 10 countries, are expected to create more than 40,000 jobs and about 700,000 training places in rural areas. Yesterday’s announcement brings the total expenditure on RDPs to €62bn on 51 approved programmes, which are part of the EU’s Common Agricultural Policy. In total, the EU expects to pay out €99.6bn on 118 programmes in all 28 member states between 2014 and 2020 through the European Agricultural Fund for Rural Development (EAFRD), but says these funds will be propped up by national, regional and private finance. Programmes’ eligibility is assessed against the EU’s Rural Development Regulation which has six economic, environmental and social priorities. Funding packages are also attached to sets of targets the programmes should achieve. EU agriculture and rural development commissioner Phil Hogan said yesterday: “One of the great strengths of our rural development concept is that we have core priorities, but it is up to each member state or region to design a programme which suits its challenges and opportunities. “The programmes adopted today offer funding for a range of dynamic projects, varying from modernisation projects for agriculture and encouraging generational renewal in Croatia and Romania, to rolling out broadband to sparsely populated areas in Emilia Romagna and support for organic farming in Sweden or enhancing environmentally friendly land management on 1m hectares of farmland in Ireland. “Boosting the knowledge base of our farm sector is an important aspect of the RDPs. I am pleased to see that almost all of today’s programmes will support innovation projects under the European Innovation Partnership”. Countries which received funding in the round announced yesterday are Bulgaria, Croatia, Czech Republic, Germany, Ireland, Italy, Romania, Spain, Sweden and the UK. Romania received by far the biggest chunk of money with €8.1bn. The second-highest amount was paid to Bulgaria, which received €2.4bn, slightly more than the Czech Republic, which received €2.3bn, and Ireland, which is being handed €2.2bn. Click here for more information on RDPs.